Hi, everyone! We're happy to introduce you our new "gift box". The spring has come and within it like a first flowers which are moving to the sun from snow underground. 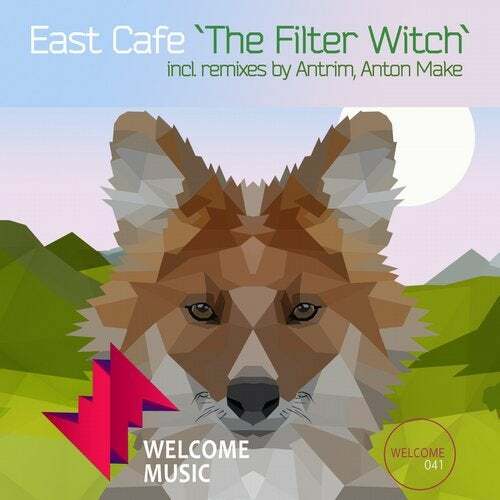 Well, be ready to listen original track "Filter Fitch" from East Cafe, Hungarian musician who got absolutely right decision to continue partnership with Welcome Music. The original track may instant hypnotize you so, then when you found yourself on pause and understanding the holes, which making track outstanding and amazing! Clear melody which is like transparent thread moving further drawing its unique lines. The main mission of any remixers is using the best features from original and create his own point of view on the subject how it could be sounds also. Under Welcome Music Label we have lot's of examples when this collaboration is getting to basic material absolutely new high quality's level. This release confirmed it and maybe for some djs remix would be prefer. Anton Make step by step has became a true professional in industry. We're wishing to him and his way only constant Progressive! Also we're happy to have on board newcomer for our label - Antrim! This guy don't disappoint, with top stuff on such labels as Sudbeat,Hope recordings, Perspective Digital to name a few. Come on to open this package and make your dj mix fantastic despite of dance floor's location! We're publishing Progressive for all!